Small business IT helps in run any company cost effectively. Almost all aspects of a small business which includes planning, marketing, sales conversion, remote monitoring and customer support needs proper IT integration. There are specific IT solutions for instant digital storage, data protection, project backup, communication and collaboration. Moreover, IT reduces manual labor, enhancing the efficiency of your workforce. Surely, better efficiency will lead to greater productivity while generating more revenue. This post describes some small business IT implementations to help you operate more profitably. Switching to cloud storage allows small businesses to outsource IT tasks like data storage. You can easily scan and store payroll history, financial statements, sales records and tax files in the cloud drive. 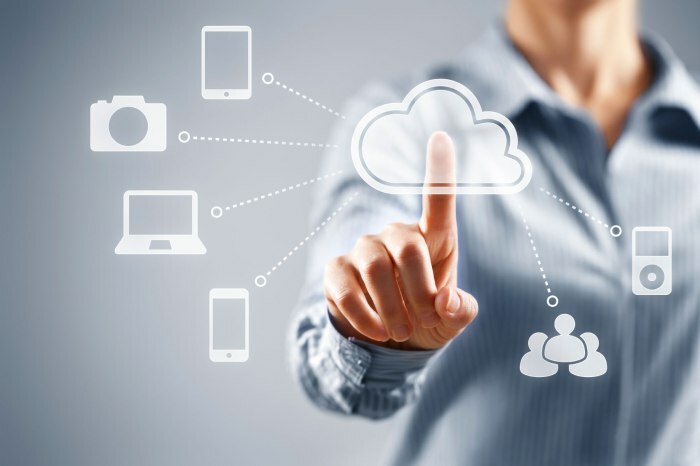 Being an advanced IT solution, cloud computing is comparatively more affordable and does not require anything additional, like a CISA certification. Plus, it offers the flexibility of buying as much storage capacity as your business requires. Surely, cloud system’s hassle free integration, data retrieval, sharing and mobile apps are useful for any small business. Systems maintenance should be a major priority in IT management. Otherwise, you will lose a lot of money unnecessarily. Part of the reason why is because you will need to waste money on new devices and systems much more frequently without proper maintenance and support. The other reason is because system downtime greatly impacts productivity. That can definitely strike a blow to your profits more than any other corporate resolution could. Make sure you emphasize the importance of systems maintenance and support in your IT management processes. Using IT solutions, small businesses can analyze customer, market and sales data efficiently. Moreover, they can divide data into different categories to derive helpful insights. To reduce delays to see these insights, dashboards of IT analytic tools show web traffic and sales data on the same page. Some such popular tools include Google Analytics, GeckoBoard and Microsoft CRM Dynamics. As you might experience, thorough business data analysis produces invaluable information for speeding up decision making. Next, IT solutions can reduce employee work load by automating business processes across your organization. Integrating appropriate IT solutions assists employees in finishing tasks like information management faster. Small businesses are utilizing IT for creating queries, measuring data, tracking projects and responding to customers. Obviously, this leaves sufficient time for employees to focus on core business activities or improvements. With the help of IT, small businesses can improve both internal and external communications. Through web based telecommunication, talking to remotely located employees, suppliers and customers is possible. Furthermore, instant messaging keeps employees on the same page, enhancing collaboration. Certainly, voice and video calling facilities at lower prices improve communication while keeping expenses in check too. Now, this is one small business IT suggestion that others may not agree with. However, if you own a small business, the cost of new equipment for supplying various tech devices and gadgets to your employees can quickly add up. That is why you should consider a BYOD, or Bring Your Own Device, program for your company. Some will argue that this will hurt employee productivity, but if you cannot trust your own employees to be responsible for getting their jobs done in a timely manner, they should probably not be an employee. Consider implementing a BYOD policy at your company to improve IT at your small business without having to worry about costs. Since cyber crimes, hacking and data theft are on the rise, upgrading data security is a necessity, especially if you choose to listen to us and implement a BYOD policy. Luckily, an array of customizable IT security solutions are there to meet your business’ needs. These solutions prevent third parties from harvesting your business data and planting destructive malware. Undoubtedly, better security maintains customer data integrity, improving your business reputation. A wide variety of small business IT solutions ensure operational success, like web hosting for small business services. By implementing the right IT, solutions you can automate processes to save time. Moreover, you can store, retrieve and update business data using cloud storage. Small businesses are reducing phone bills considerably through IT solutions like web conferencing and instant messaging. Also, there are IT solutions for analyzing metrics, gaining important insights. Above all, small business IT offers superior data management and protection, giving your company a competitive edge.